Netgear's Arlo cameras are so popular, that earlier this year, the brand was spun into its own publicly traded company (Arlo Technologies). The success of Arlo is hardly a secret -- it offers quality products that people like. What a crazy concept! Today, Arlo announces an impressive outdoor wireless camera (that can also be used indoors). Called "Arlo Ultra," it offers 4K video streaming and recording. The weather-resistant UHD camera comes with the new Arlo SmartHub -- a wireless hub that serves as a range extender, but also, has a micro SD card slot for saving 4K video clips locally. Arlo Ultra comes with a free year of the Smart Premier cloud service, but it will only allow 1080p video saves without shelling out an additional annual fee. "Featuring a new 4K image sensor with HDR image processing, Arlo Ultra is capable of capturing and outputting 4K video quality from the lens to the user. This feature not only provides additional detail and clarity to videos but allows users to zoom in on their video clips to uncover critical information, such as license plates, clothing, or other telling details in suspicious activity. With an expansive panoramic 180-degree diagonal field of view, Arlo Ultra delivers one of the widest viewing angles in the wire-free security camera industry, providing users more flexibility when placing their camera for property, home or business monitoring. 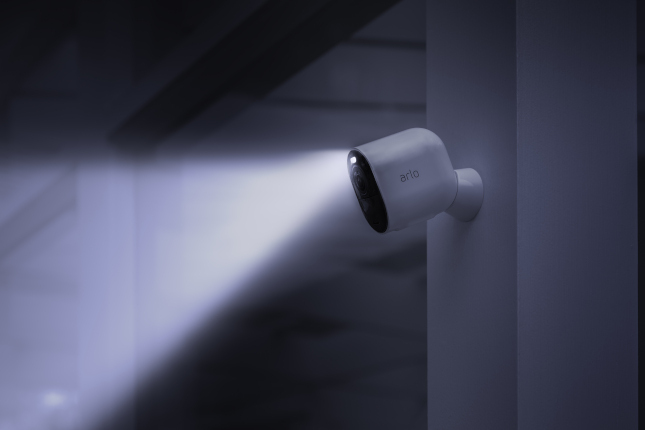 In addition, Arlo Ultra includes an integrated spotlight that can illuminate the night with a powerful LED light, giving users the ability to see color in the dark rather than traditional black and white night vision," says Arlo. 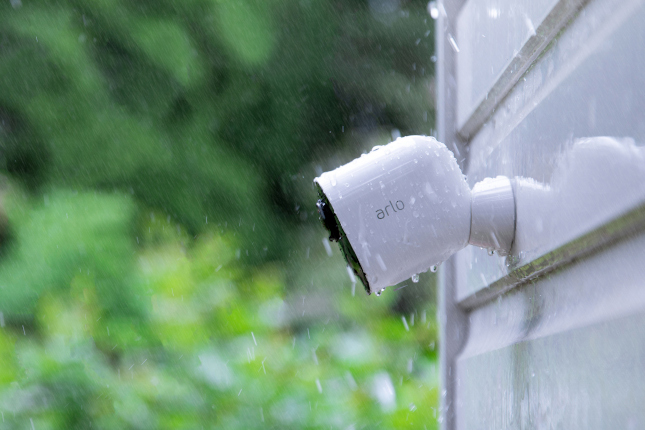 The company also says, "With a fast and easy wire-free setup and weather-resistant design, Arlo Ultra cameras can be installed nearly anywhere outdoors or indoors. The newly designed magnetic mount allows users to conveniently mount their camera from ceilings, walls, eaves, or place their cameras on tables or counter surfaces. Arlo Ultra includes a newly designed rechargeable battery and comes with a weather-resistant, magnetic charging cable for indoor and outdoor use. Arlo Ultra also features a built-in siren that can be automatically triggered by motion, audio detection, or manually activated remotely from the Arlo App for added protection." 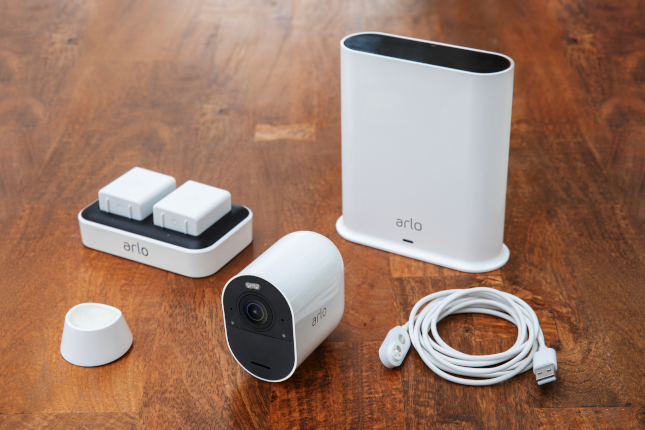 Arlo shares the following features and benefits. Does anyone need a 4K security camera? Probably not. Let's be honest, it is overkill for most consumers and a huge drain on bandwidth and storage capacity. With that said, I am glad Arlo is pushing the boundaries and giving people the option. As you can expect, however, it is a rather costly affair. A single camera Arlo Ultra system (with the SmartHub included) will cost $399.99. Multi-camera bundles will cost more, obviously, but we don't yet have pricing on those. 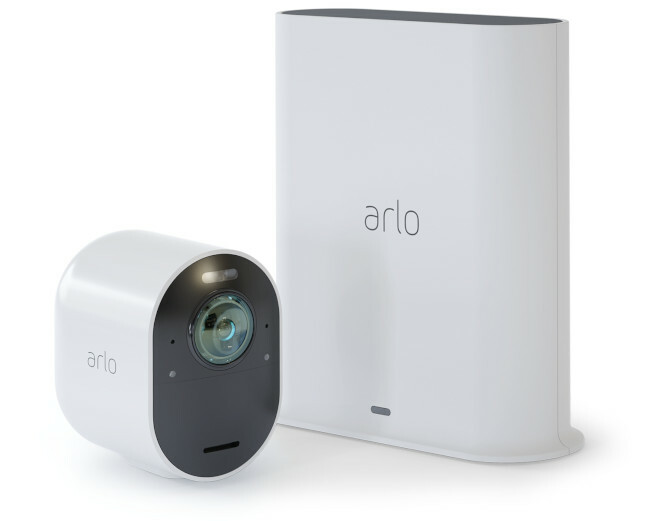 Availability is a bit of a mystery too, with Arlo promising to share more details about a release date in Q1 2019. No, I am not saying it will be released in Q1 of next year, I am saying that is when Arlo will tell us more about availability! Sigh. If you want to reserve your place in line, you can pre-order beginning today.